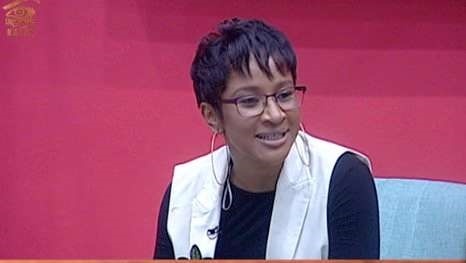 Adesua Etomi Wellington is the latest celebrity to visit the Big Brother Naija house. Nollywood actress, Adesua Etom-Wellington has visited the Big Brother Naija house. Her visit comes a day after Joseph Yobo and Victor Ikpeba's were in the "Double Wahala'' house. During her visit, she encouraged the housemates and was asked questions about her acting career, achievements and marriage. Etomi asked the Housemates what makes them tick and what they can't live without. Before her exit, Cee-C asked Adesua for her earrings, and she happily gave them to her. Her husband, Banky W was a guest of the show in the 2017 edition. See how Twitter reacted after the Nollywood star dropped by. Ahan! This Adesua mehn! She just dey bust my head. This is the kind of brain and mindset one should marry. Lmaoo, all the people upset that Cee-C collected earrings will do the same if they were in her shoes. This is what Adesua had to say about. Anger. Tobi asking Adesua why she married her hubby. Adesua: He’s very consistent & very honest.